In that half-hour leading up to the green flag, TV loves to win our hearts with human interest pieces on our favorite drivers. Most of the profiles on the top-tier motorsports heroes come with low-resolution camcorder footage of a ridiculously young version of that driver in full racing gear, an oversized helmet dwarfing a little frame. We marvel at this tiny tike carving corners in karts or micro-scale formula cars at an age when most of us still needed help getting the straw punched into our Capri Sun juice pouch. While a prepubescent start certainly lends itself to racing success later in life, it’s far from mandatory. A fair share of drivers get their street license before their racing card, giving hope to those of us who didn’t learn rev-matching at the same time as our ABCs. Occasionally, a topnotch racer is even born out of a mortgage-owing, tax paying, fully fledged adult. The green flag first dropped on Ben Keating in 2007, when he was smack in the middle of his 30s. He’s rapidly climbed the road course ladder in North America, and Ben, now 45, has parlayed his talents into an impressive partnership with Mercedes-AMG as they debut their snarling GT-based GT3 in the IMSA WeatherTech SportsCar Championship. The team’s first challenge was also to be their greatest for the season: the Rolex 24 At Daytona. Before the move to the AMG-Mercedes program, most of Ben Keating's track time came in Vipers. While a Viper may seem like a clinically insane choice for a first-ever track machine, Ben cites it as proof that he had no idea what he was doing. He notes that he was able to drive the car home without damage on what was left of the stock brake pads. “Fortunately the 2002 Viper is much friendlier than a 1992,” he adds. “It was a demo with two or three thousand miles. It may be the reason for my success in other cars: When you learn in a car that is difficult to drive, maybe it makes you a little better. 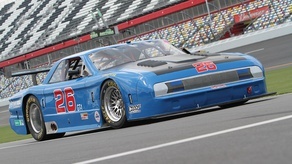 With adrenaline from his debut track event fresh in his blood, Ben became a late-blooming motorsports addict of the highest degree. One perk of discovering the addiction later in life is that you haven’t yet misspent your youth and all your money on race cars. In fact, you might already have a car dealership or 10 to help soften the financial blow of that new passion. Age can also foster the tempered wisdom necessary to set up realistic racing budgets that leave funds for luxuries like food and shelter. Rather than waste time bleeding subpar brakes at track days, Ben promptly bought a 2000 Dodge Viper race car for use in the Viper Racing League. He won the championship in 2008, just a year after that first track day, but he notes the class was very, very small. He yearned for something more competitive. After Ben had prepped his car for the 2010 Pirelli World Challenge season, Chrysler announced the Dodge Viper Cup spec series. 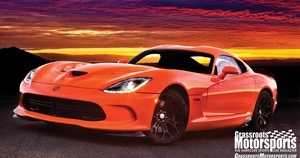 Given his position as a Dodge dealer, he felt that it made even better business sense to participate in the new Viper series. So he shifted gears and ran both the Viper Racing League (to the championship victory) and the Viper Cup (where he scored second in yearend points). In 2011 and 2012, Ben won the Viper Cup championship outright, and he also got his first taste of something even grander: the Rolex 24. For the 2012 season, Ben bought a Porsche 911 GT3 Cup car and raced with Grand-Am. For 2013, Ben finessed his budget to race a Viper not in the Viper Cup, but in the GTC category in the American Le Mans series. For 2014, Ben’s efforts to get Chrysler on board with IMSA’s then-titled Tudor United SportsCar Championship paid off, and through 2016 he raced a Viper in the series that brought him back to the Rolex 24 At Daytona. It was during this period that he earned his first Rolex 24 victory, when he and co-drivers Dominik Farnbacher, Al Carter, Kuno Wittmer and Cameron Lawrence brought their Riley Motorsports Dodge Viper SRT to the checkered flag in the GT Daytona category. Unfortunately, 2017 is the final production year for Chrysler’s V10 sports car. It was time for Ben to find something new. 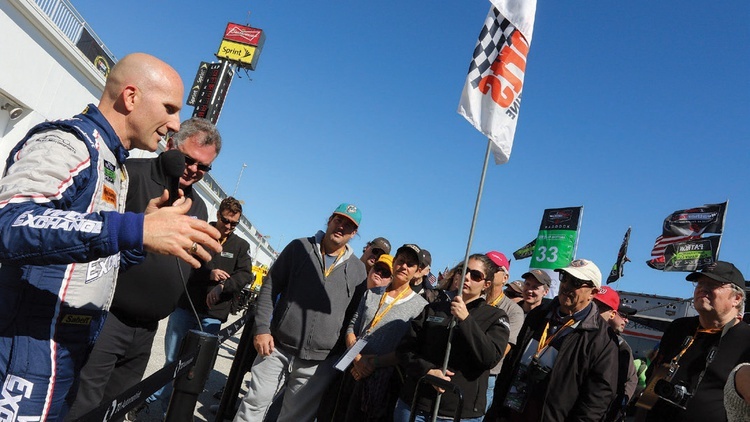 As a result of his squad’s strong driver lineup and their ties with Riley Motorsports, several manufacturers were interested in partnering with them. Ultimately, it was the Mercedes-AMG GT3 that impressed Ben the most. 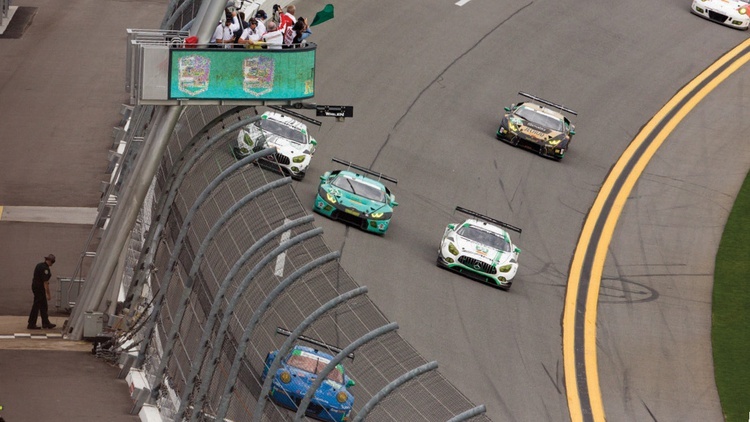 The Rolex 24 At Daytona is the longest race of the yearlong championship, as grueling a test of a team’s mettle and metal as you can find in a racing series. The team had every confidence in the factors they could control, but Ben still entered this year’s race with a heavy dose of skepticism as a result of the Balance of Performance. IMSA officials reviewed the data from the Roar to hand down several adjustments to teams, including a new restrictor for the Mercedes-AMG GT3. Teams fielding the car were required to go from a 36mm intake restrictor to a 34.5mm piece, the smallest of any in the GTD field. “That 1.5mm is worth a few mph on the straights,” Ben notes. In comparison, the Lamborghini Huracán and Lexus RC F were fitted with 38mm restrictors, and the Porsche 911 GT3 and Audi R8 LMS GT3 had 39mm pieces. After qualifying, Ben’s Mercedes-AMG GT3 was set to start the Rolex 24 in 19th place out of 26 GT Daytona class racers. The best Mercedes-AMG qualified about a tenth of a second quicker in 18th, and a third car landed in 24th–far from a dream beginning to the season. The rain did come, on and off through the night and into the morning, for nearly 10 out of the 24 hours. The No. 33 Mercedes-AMG team found their rhythm and ticked off lap after lap, with Ben’s co-drivers Jeroen Bleekemolen, Mario Farnbacher and Adam Christodoulou handing their business with aplomb. As the hours passed without incident, all those seemingly empty platitudes about the long race started seeming like a genuine chance, despite tricky conditions that had sidelined, damaged or delayed many of their competitors. “This was my seventh time to run the Rolex 24 At Daytona,” Ben explains, “and far and away this was the cleanest, [most] mistake-free, flawless race I’ve ever done. We never lost the lead lap. We never had any off-track excursions. We never had a flat tire. We never had a bad pit stop. We never lost a lug nut. The No. 33 Mercedes-AMG crew continued to nail their pit stops and strategy, and the drivers churned out fast and consistent laps despite the weather. The Mercedes-AMG remained on the sharp end of a tight race for the class win. With just a sprint race to go, their car shared the lead lap with a Porsche, a pair of Audis and an Acura NSX. A neat article, I do love those cars. A neat article times two ! I was up at Black Swan Racing dropping off a windshield that they were bringing South for another. Got a terrific tour of their facility, crawled all over their GT3 Mercedes and grabbed a hat on the way out. Those Mercedes SLS AMG GT3s are just amazing ! ! ! I was somehow hoping that the body might actually be polished aluminum but it was a vinyl wrap. Still—AMAZING ! ! ! Damn that's awesome! Good on him and his success in life! I find it interesting in 2010 he was strapped for cash then bought a 911 gt3 in 2012. 2011 must've been hell of a year! Know him and the family well..... not name dropping just sayin'...and the Viper Exchange is not more than 20 mins. from the house. Always root for him and Joeren whenever they turn a wheel. These cars still use the M156, right? Because I just happen to know a guy who knows those things inside and out. mazdeuce wrote: In reply to 759NRNG: These cars still use the M156, right? Because I just happen to know a guy who knows those things inside and out. It's actually the M159 in the car. I went through the car pretty in-depth when Pappas was in town last year. I'm a Ben fan too. Talked to him a good long time the first year he raced at COTA and every year since. They have had a tough year so far. Well poop. This is what I get for playing with old tech. I really should make an effort to go to one of the events at COTA and check the cars out. Mercedes is back in sportscar racing and their AMG product lineup is pretty solid and way more diverse than any of the other performance groups. I feel like they're just a few tweaks away from building a community that is as enthusiastic about driving the cars and they are about being seen in them. Mercedes community love driving their cars. As much if not more than being seen in them. They're also down with working on them as well. I wanted to disagree, but then I thought about AMG owners I've met in person, and they do indeed love driving their cars. And they community does seem to like the problem solving aspect of fixing things. I guess I meant to say they are underrepresented in the forms of recreational driving that requires helmets. No matter, I'm glad to see them racing, I'm glad to see their product lineup, and I enjoy driving the one I have. In reply to mazdeuce: does this response mean you're back in northhoustonish?? It means I've started packing. The trip home is long and winding and involves a battered Airstream, tubing behind a pontoon boat and a county Fair. I'll be very happy to replace the cam sensor on the van and get back to my AMG sport seats. Got see a few of those up close this weekend at Mid Ohio for the PWC race and they are cool up close. Black Swan had the best livery and Hero card, I will try to get a pic posted later. Two_Tools_In_a_Tent: Black Swan had the best livery and Hero card, I will try to get a pic posted later. They also have the best press releases..